For people who are not spiritual dualists, we have to eye matter a bit warily. Matter used to be pretty mundane stuff. It sat around and did more or less nothing until some spirit came along to make it think and move. Then the feeble matter would eventually wear out, and the spirit would move on, to be reincarnated, or find another plane of existence, or do whatever it is that spirits do. We now find that we live in a world where matter itself seems to pull itself upright and think on its own. It really is kind of unnerving sometimes. If you look closely at the mud, sometimes you find it wiggling, because it’s full of other bits of matter which is more or less just mud itself, but has decided for some reason to crawl around and be all movey and squirmy. And the same sort of matter which makes the mud and the creepy crawlies is exactly the same stuff which our brains are made out of, and there are no spirits living in our brain, which means that, somehow, inherent in the very nature of mud and dust and grime, is the ability to feel emotions, have conscious thoughts, and think about stuff. The world isn’t inhabited by spirits; the world is made out of some type of weird goo which might become a human soul for a short period of time before turning back into mud. If you dip your hand into a golden pond at sunset, the ripples you make upset the reflection, and when you draw your hand out and a bit of reality still clings wetly to your fingers before dripping down to rejoin the shimmering pool, all of that strangeness and beauty is just… there, in front of you, a part of the world that you live in, not some other. When we banished our spirits, it became obvious that our world was inherently more fantastic than we had previously ever imagined, and we started to wonder whether we should join a commune or something. In short, we live in a world where matter can think and have feelings. As far as we know, it does most of its thinking inside of heads, and does something similar in computers. If we looked though, we could probably find it doing a number of thinking-like activities elsewhere. Just as there are varying degrees of ways in which matter could be said to be alive, there are probably varying degrees of thought available to matter, various properties of thought which can be found elsewhere in nature. You can see that soap bubbles, simply by following their inherent nature, form stable shapes which keep them from collapsing. Stones mostly tend to fall into a certain variety of shapes, because those shapes are the ones which are most likely to stay intact; seldom will you see a stone shaped like a U, though the world is full of kidney stones. Crystals form self replicating structures. Viruses do so with greater elegance, DNA molecules build organisms to inhabit, and pale fire consumes. Galaxies, solar systems, and atoms all fall into predictable structures because there is a general principle of natural selection which penalizes them when they don’t. We see in these natural phenomena reflections of the basic properties of life, though it’s usually agreed that these things are either nonliving or are very basic forms of life. In the same way, we can see intimations of the properties of mortal thought in parts of reality which are not confined to animal skulls or silicon chips. A brain is a physical object which thinks, more or less because it’s throwing electrons down a path of neural circuitry. This is a very physical process. But the basic properties that allow this to happen are not limited to human brains. We think of tree branches as single objects because when we pick one end up, the other end comes with it. It doesn’t fall into little tiny pieces, as if we had tried to pick up a pile of sand, because the information from your hand that picks the branch up is sent through a series of electrical connections among the molecules within the tree branch. This is, of course, not deliberate, or by any means the same thing as thinking, but it’s this basic property of existence which allows human brains to operate. When we perceive something, our brains create a pattern of electrical impulses in its own neural language which is isomorphic to the pattern of what it is that we’re perceiving; if we see a vase, our brain makes a little model of a vase inside itself using abstract language. In a similar way, when you walk down a sandy beach, you leave footprints which match the shape of your feet. Consider the Uropyia meticulodina moth (see photo). 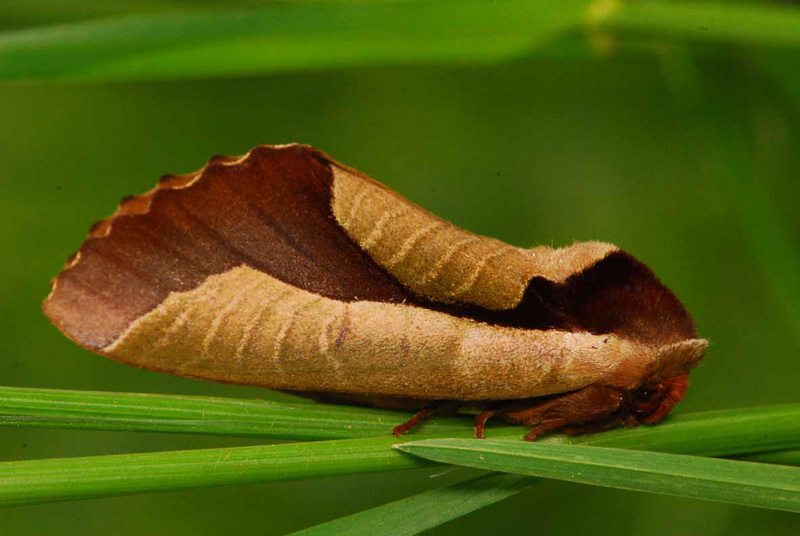 The moth is a leaf mimic, taking on the appearance of dead leaves. But the wings of the moth don’t curl: the curling effect, the veins of the leaf, the frayed edges, and even the highlights and shadows, are all just images created by the coloring of the moth’s body. There is an isomorphism here between the image of a leaf created by a moth, and the image of a leaf which is created in the brains of the organisms which the moth is fooling. Consider what sort of process was involved in making this image! It’s interesting in that, in some ways, the process takes place within the brains of whatever organisms the moth is tricking. The moth is creating an image that isn’t specifically designed to match a leaf, but to match the image of a leaf which exists in the minds of other organisms. If it were actually “trying” to mimic a leaf, it would have physically bent its wings and grown physical stems and veins. That’s what leaves are like. But because what it is actually replicating is the image of a leaf, it’s grown a flat surface colored by mothsome pigments to manipulate the visual systems of thinking or semi-thinking creatures. What we have is an isomorphism of an isomorphism; a reflection of a reflection. And just as the original reflection was drawn from reality to be encoded in the neural workings of a brain, the reflected reflection is drawn from the minds of others to create an image encoded in pigment and color. There is something resembling the properties of thought here, without needing to say that the moth or natural selection are “thinking,” and certainly without having to invoke spirits and specters. These aren’t refutations of science or naturalism. On the contrary, these types of things are exactly what you would expect to find if consciousness were a natural phenomena occurring within the boundaries of naturalism. Once we realize that nature has the ability to be self aware, does that mean it’s open game for ghosts, ghouls, and gods? Is there a cosmic consciousness which imparts itself to all thinking creatures? Within dualism, there’s either no way to answer those questions, nor a way to escape from them if they provide negative answers. You can always say that God wasn’t there that morning, off in heaven, or that souls are “ineffable” and not subject to reason or material experimentation. But because consciousness is a natural phenomenon, we can ask cogent questions about what it is and where we can find it. And this is much more interesting. It’s more than interesting, it’s exhilarating! Imagine, once we have understood the properties of consciousness, the existence or non-existence of cosmic entities becomes a matter of serious scientific inquiry. Are there consciousnesses in other parts of the Cosmos? Within the realm of naturalism, that’s a question we can actually expect rational answers to, and that makes it much more exciting than imagining that whatever consciousness is out there, it’s infinitely beyond our reach. We don’t have to pray to God. We can touch his face by clasping our hands and feeling our own flesh. Reality isn’t beyond us, reality is all around us, and we can feel it when we dip our hand in a pond or when we pick up a bag of groceries. Whatever “cosmic truths” there are, they reside in the dust of the world and in the bendy freak which we call space-time. Mysticism is not required. You can reach out your hand. The way to react to this understanding of consciousness as an integral part of nature is not to break out the incense. Closing our eyes and dreaming of other dimensions and other planes is not a spiritual activity any more. There are certainly many good things to be said about meditation, but in a naturalistic world, there’s no reason to think that it will put you in contact with wandering spirits or other realms of reality. Our research has consistently shown that the benefits of spiritual activity happen within the mind, that is, within the material plane we all inhabit. Realizing that consciousness is a physical phenomenon and that matter is inherently potentially conscious awakens us to a world where the only way to interact with other beings, human or otherwise, is to open our eyes and look around us. Our third eye will only deceive us here. However, realizing that matter itself can become aware goes a ways in keeping us from viewing science as a means to a cold, dead, and empty Universe. Televisions programs like Cosmos show us a side of the Universe as revealed by science, which is mysterious and beautiful; grand images of galaxies, panoramas of the clouds of Jupiter, and landscapes in the event horizons of black holes. But there’s a tendency among skeptics of skepticism and people of faith to think that those are just gimmicks pulled out of Carl Sagan’s hat to trick the faithful into accepting a dreary and prosaic world. That those poetic words and images are just a coat of paint slapped on an old bucket of bolts by a disingenuous salesman. But what naturalism does, rather than robbing humanity of its nobility by putting it in the same category as everything else in the Universe, is to ennoble the Universe by demonstrating the awesome versatility of physical substance, which may shine in stars for billions of years before becoming a planet, and then wake up and make eggs for breakfast. I don’t know what souls are made of, but it can’t possibly be anything more miraculous than the matter we encounter in our everyday lives. Think of the various things that star stuff can do, unaided by soul stuff. If you place an object in midair, rather than floating mundanely in place, it will magically fly through the air until it collides with the planet Earth. To this day, nobody is sure exactly why this happens. If you give it too much energy, it will destroy itself in a fusion reaction and create a nuclear explosion. If you wire it into a Beethoven, it will write a symphony. If you transfuse it into a Shakespeare, it will write a play. Tickle it with antimatter and it will get mad at you. It is fire, it is death, it is life, it is a hurricane. Souls zero, matter ten million. If souls did exist, in what way would that clear up the problem of consciousness anyway? If we say that there is some spiritual substance which is needed in order for consciousness to occur, in what way does that give us an explanation for why thinking is possible? All it does is hide the question, put it in a place where we can’t see it so it doesn’t bother us. Whatever souls are, they would have to be made out of some substance too, call it spiritual or what you will, but they would have their own laws and regulations which would guide their behavior. If you’re afraid that naturalism means that human beings are subject to some sort of demeaning physical law, then how does spiritualism escape such a law? It only ignores it. And how do natural laws really bind us anyway? We are ourselves forces of nature and expressions of her laws; anything we do, it was in our nature to do. Any intentions we imagine but can’t live up to have only proven to be misplaced intentions. The laws of nature are only binding because they mean that everything must do exactly what it would do by its own nature anyway. Love, hate, fear, despair, and joy are all lying hidden, untapped, in the dust on the street and in the dust between the stars. You may see it as a person waiting to happen, or the raw substance of mind strewn and scattered like ash, but mundane it is not. Consciousness is, as the new agers profess, woven into the fabric of reality. But there are no magic crystals or rituals which will reveal it it to you. If you want to find it, you’ll have to go out and look. Michael Trites was carved from an oak tree and aspires one day to become a real boy. His original intention was to take Hitler’s advice and wait until the age of thirty before making any public philosophical statements, but he came across Scientia Salon and thought, “what the heck.” You can read more of his ill-advised public statements at Fracolyte. Acknowledgments: I first came across the idea of soap bubbles as a demonstration of life principles in non-living systems in Richard Dawkins’ The Selfish Gene. A few references are made to Carl Sagan, including the use of his phrase, “star stuff.” It might be obvious to you that I’ve read, Gödel, Escher, Bach, by Douglas Hofstadter. I discovered the uropyia meticulodina moth in The New England Journal of CRACKED.com. Several other works of literature were alluded to in passing. This is really good. I agree with everything in it. “In short, we live in a world where matter can think and have feelings.” And create new things in the world as well. Image processing does not really illuminate the problem of consciousness since image processing can happen fine without any sort of consciousness. Indeed we process images unconsciously all the time. Also the matter of whether or not it is good for Naturalism to be true is not really relevant to the question of whether or not it is true. And it is quite common for New Age whackos to be Naturalists. I love the sense of joy and delight in this piece. Something that I know _I need to be reminded of from time to time. Here is the problem as I see it. In time we will have completely reverse engineered the brain and will have much faster computer technology. So there can be an algorithmic simulation of the brain and associated neural components together with some simulated sense data and we should have something that behaves as the actual physical system does. So we should have a simulation which produces all the externally observable behaviours associated with consciousness. It should complain that it feels nausea or pain, or report feelings of pleasure and rapture. It should report being conscious. But would it really have conscious experiences as you and I do? In other words could the conscious experience you are having right now be the result of such a simulation? Algorithms are substrate independent and any computation that can be done on computer can, in principle, be carried out with pen and paper. So if you could be the computer simulation then you could, in principle, be teams of mathematicians working round the clock with pencil and paper – maybe over billions of years to produce this brief moment of consciousness that you are experiencing right now. If that is not self-evidently absurd then I can provide a number of reasons why it is not the case that my consicous experience could be produced in such a way. On the other hand, if the simulation is not conscious, one has to consider the fact that it is still producing all the externally observable behaviours associated with consciousness. This would mean that the reason I claim to be conscious has nothing to do with the fact that I am conscious. All our language about conscious states would not actually be about conscious states because it has been produced by mechanisms which are not conscious and therefore do not know what consciousness is. So what we think we mean by most of our language would be radically wrong (including the foregoing). The absurd consequence of this is that it would imply that we know more than our brain does. Such statement end up being self refuting. When I say that I am conscious I do so because I am conscious. When I say I feel nauseous I am referring to the feeling of nausea. Which leads me to the question, what exactly does Naturalism mean and what are the reasons for accepting it in the first place? It’s a well-written poetic article, and I agree with most of it. However, since this is a topic close to my own heart I have some specific disagreements and issues I would like to point out. I think naturalism and dualism need to be defined because I don’t think they need be in conflict. For example, I take naturalism to be the view that all physical effects have physical causes, explicable with reference to mathematical laws of physics. I take dualism to be the view that there are two kinds of stuff. This could be physical stuff such as matter and energy and abstract stuff such as mathematical objects (and, in my view, the mind, which I see as an algorithm and so a mathematical object). I don’t think matter actually becomes conscious, technically. I think what is conscious is the pattern that the matter instantiates. This may seem like nitpicking, but it has implications for whether mind-uploading technology might be possible in principle (yes, in my view). If it’s the pattern that matters, then the substrate is irrelevant. I think you are far too optimistic about a scientific understanding of consciousness. If I’m right that consciousness is simply what it feels like to be a certain kind of algorithm, then it’s outside the domain of the empirical. In my view, consciousness is not really a natural phenomenon because it is only real to its subject. This places it outside the realm of physical, objective reality, and so I am pessimistic that it will ever be amenable to scientific study. The best we can do is to use philosophy and science to produce a model of what we think the physical correlates of consciousness might be, or what behaviour we think requires consciousness. We can never be sure. You’re right to point out that a functional understanding of what brains do does not in itself mean we understand consciousness or can reproduce it, and you’re right that your argument seems to lead to a rejection of naturalism. Believing that we can have something that behaves as if it is conscious but is not actually conscious is indeed hard to reconcile with naturalism. If consciousness is not needed to generate human behaviour, then why did we evolve consciousness? It seems to me that the only plausible way out of this dead end is something like Goddidit. I prefer to think that a simulation of a brain would indeed be conscious. But I am not a computer simulation or a pen and paper simulation. I am the algorithm they are simulating, and I exist whether the simulation is carried out or not. My experience is the combination of that algorithm and the sensory input to it. This seems like I’m saying that my consciousness is independent of my brain, and in a way this is my view. If my brain explodes then my consciousness will continue in another universe, because the algorithm that is my mind is tied to an environment which interacts with it, and this environment will exist elsewhere, e.g. in another universe (especially given the Mathematical Universe Hypothesis). So you’re right that the argument you make ought to lead naturalists to some apparently absurd conclusions. I embrace that absurdity because it’s less absurd than the alternative, and living with the idea for a while helps to overcome the initial conflicts with intuition. I take naturalism to mean that all physical effects have physical causes, meaning that they can be explained with reference only to mathematical laws of physics. The alternative is to believe that physical effects have causes which are not yet arbitrary and yet cannot be modelled mathematically, which I think is incoherent. On this view, naturalism is superficially compatible with the view that consciousness is a property only of meat brains, because naturalism is blind to properties that have no physical consequence. But I think believing that consciousness has no physical consequences runs into conceptual problems (such as the argument from evolution above) necessitating supernatural entities such as intervening deities to make sense of it. From the late, great Gregory Bateson. A great read and, it seems to me, entirely compatible with mystic thought. I’m not sure naturalism necessarily entails physicalism if I understand you correctly. I thought naturalism traditionally refers to the idea that there is an objective external world but what that world is, what are it’s properties are, is up for debate. I myself identify more with a neutral monist position as I think saying something is “physical” implies we have a good definition of physical (which IMO we don’t) and that there is/or could be a non-physical (not even sure what that means). It may be hard to reconcile but not impossible. Not everything has to evolve for adaptive functions, even though I think the issue of adaptiveness of consciousness is far from settled. I also don't think that "Goddidit" or similar ideas are plausible ways out as they are non-explanations. Unless the person can answer "how God did it" or "how the soul does it", this idea lacks any explanatory value and serves as a mere verbal placeholder. Neutral Monism: There is stuff which can take on the attributes of both stuff and other stuff. I used to define Naturalism as: “Everything can be described in terms of some mathematical model, whether deterministic, probabilistic or some combination of these”. Someone pointed out to me that anything at all can be the subject of a mathematical statement given probability and also that we do not know of every possible mathematics and so the definition does not really rule anything out. Also, if there are hyper computations then there are things that happen that cannot possibly be described by any mathematical model accessible to us. This is a version of the old “chance and necessity” definition. I think I can defend that these are the only possible modalities (I have a proof somewhere if anyone is interested) and so I would be quite comfortable calling myself a Naturalist in this sense. I would agree that naturalism does not necessarily entail physicalism. I think of physicalism as the position that only the physical exists. This is not my position, as I think that consciousness and abstract mathematical objects exist but are not physical. I would define the physical as that which is described in terms of the basic laws of physics, e.g. matter, energy, etc. Consciousness cannot possibly be adaptive if it has no behavioural consequences, which is what Robin seems to me to be arguing. I agree it is theoretically possible that it arose by coincidence, but I think that this is even dafter than the idea that algorithms are conscious. I agree that Goddidit is not a good answer which is why I do not endorse it. But I think rejecting it means accepting some very unintuitive ideas. Do you see that as disagreeing with or reinforcing what I said? I’m actually a neutral monist, by your definitions, as I think the physical is ultimately mathematical. It probably couldn’t ever be proven that you’re wrong about that, but I don’t see any reason to believe that there is such a difference between physical phenomena and “mathematical objects,” and I don’t see how meaningful it is to say that there could be a difference. This is being said without reading your blog, which I will do, but based on what I think you’re saying, I don’t see how there’s a difference. To me, that’s like saying that if there are three apples, then there are the three apples plus the abstract concept of the number three. What does that mean exactly? I don’t see how an algorithm is really a mathematical object in any way more concrete than the concept of the number three. But I’ll read your blog and then give you a more in depth response. To me, it seems that mathematics is just one way that we have of describing our world, and the apparent difference between “physical” objects and “mathematical” objects comes from the fact that we are using two different ways of thinking to describe one thing. Objects in the real world aren’t physical or mathematical, really, they’re just what they are, and we can either think of them in visual-spatial way, or in an abstract mathematical way, but in the end we’re talking about the same thing. It could be that I’ve missed your point, though. In both the examples you give, I would argue that yes, those things are conscious. That means that both the computer and the team of mathematicians have produced a simulation of a brain which is entirely conscious, and experiences consciousness. From my point of view, consciousness is a real phenomena because it is rooted in physical reality. A brain is a network of physical information. A physical brain uses neurons to store that information. You might want to say that a computer or a team of mathematicians both store their information abstractly and not physically, but that’s not true. Somewhere, spread through markings on a page or thoughts in a mathematician’s mind, that information is stored physically, and what makes that physical information a part of a consciousness is the fact that it is networked in a way which manipulates that information. The information is being spread through some type of network, though in a painfully circuitous route. A computer simulation of a brain still, essentially, consists of a network of neurons, it’s just that those neurons are split up in different conceptual layers of the computer program. But there is a network of physical information spread across the circuit boards that corresponds in a very real way with an actual neural network. Your second point is about how a conscious entity would know that it’s conscious. How is the information of being conscious reported back into the system so that the system would know that it’s conscious? I would agree that a lot of our intuitions and common ways of thinking are misleading here. A huge part of it comes from our individual sense of self-hood. We like to think of ourselves as single entities with one master set of perceptions. But if you think of ourselves, rather, as a bundle of perceptions, it becomes easier to see how a physical system could both experience consciousness and report about consciousness. Dualism would explain this by saying that there are two different substances which play off of each other within the mind. In physicalism, you simply split the mind into different areas which are each playing off of each other, but made of the same substance. You bring up nausea. Nausea consists of a set of sensations in the body, particularly in the stomach. The first step in the process of nausea is that signals are sent into the brain from the wider nervous system. These signals are interpreted by the brain as being nausea signals. I’m not going to be very technical here, because, although I feel that I could probably be a bit more technical, I’m not a neuroscientist, so it would be misleading for me to use technical language which I don’t fully understand. I have no authority here and these are my speculations. Basically, our consciousness is divided into different layers, and the interpretation of “nausea” is passed around these different layers until several areas of our brain are all agreeing that yes, we are nauseous. It’s only then that our sense of self-hood kicks in and unifies all of these different layers into one self-hood which thinks of itself as being nauseous. But the original sensation of nausea has already been reported to our sense of self before then. So really, when we say that we are experiencing nausea, all we are saying is that we are reporting an observation of nausea from a different area of our body and associating that observation as a part of who we are at this moment. Many people say that consciousness is an illusion. I don’t think that that is accurate. I think that it’s more accurate to say that our perception of having one single stream of conscious sensations is an illusion, when we’re really more of an amalgamation of different sensations. The language that we use to talk about consciousness is coming from different mental faculties which are observing each other’s consciousness, not from one single master consciousness. I don’t think I’ve said this very well. It’s something to think about, and maybe I’ll try to write a more lucid description of my thoughts and post them in my blog, if you’re interested. Again, I’m not an expert and these are my speculations. I almost lost you when you started talking about souls, but I am really glad I persisted. I’m going to pass this around because I think it is something people should read: true respect for matter. I dont agree with anything, but this piece makes me want to change my thinking. Good writing and nicely done! It’s the only way to make sense of certain conundrums. The view I advocate is mathematical Platonism which is a fairly mainstream approach to the philosophy of mathematics, although there are others I don’t buy such as Aristotelian realism which I think you would find more appealing. If you think of the concept of a circle and I think of a concept of a circle, these thoughts physically correspond to not especially physically similar excitations of neurons in two differently structured neural networks, yet there is clearly a sense in which we are thinking of the same object. The concept of a circle cannot therefore be identical to these physical correlates, and yet we must acknowledge that it has at least some sort of pseudo-existence if we are to discuss it sensibly. If I invent calculus and you invent calculus simultaneously, then did one of us create something new or did we both discover something that was already ‘out there’ in the space of possibilities? I think the latter is true, and this again implies mathematical objects exist. With regard to philosophy of mind, assuming that the matter itself is conscious leads to various problems. Take Robin’s thought experiment for example. Suppose your present consciousness is the product of a team of mathematicians working for billions of years. If these mathematicians sleep at night, do you cease to exist and a new you is born in the morning? If one day a new team of mathematicians is brought in to replace the existing team, does this mean a change of your identity? Where, physically, does your consciousness reside? Is it in the minds of the mathematicians, or in the paper and ink on which they scribble? There are many more such questions. John Searle has made the point that there is nothing physically significant about computation. Computation is only meaningful in the eye of the beholder. Any physical process can be interpreted as a computation, and there are many ways to perform such an interpretation. There is probably some logical mapping from the random jiggling of atoms in any wall to whatever algorithm you like. On the subject of Searle, how would you reply to The Chinese Room? What does that mean exactly?</blockquote? It means there are three apples as well as the abstract concept of three! There is a certain 'threeness' that three apples share with three oranges. 'Threeness' is therefore not identical with those particular three apples but some other thing which they in some sense instantiate or represent. I don’t see how an algorithm is really a mathematical object in any way more concrete than the concept of the number three. It isn’t any more concrete. Both exist abstractly. Do you believe in the hypothetical possibility of mind uploading? If so, you’re in the company of strong AI proponents such as Eliezer Yudkowsky. But this is clearly only sensible if you identify with the pattern rather than the substrate. Do you see a difference between a computer and a web browser? A web browser is not merely a configuration of electrons in a computer’s memory, because the same web browser can exist on many computers. When we refer to, develop, install a web browser, we are thinking about a real thing in my view, but it is not physical. Physical things are either located at a certain place and time or distributed throughout space and time as fields. My perspective in a nutshell: my brain is hardware; my mind is software. Someone pointed out to me that anything at all can be the subject of a mathematical statement given probability and also that we do not know of every possible mathematics and so the definition does not really rule anything out. Well, it rules out entities which are not reducible to mathematical models. For example, it rules out the idea of a God which has a mind that is not an algorithm, and so it rules out the idea that God is omniscient, because algorithms cannot be omniscient due to issues such as the halting problem and the self applicability problem. Naturalism is the position that if vampires exist, then they must obey some kind of physical law in such a way as not to allow contradictions. Suppose that vampires can be seen but are invisible in mirrors. How can you break down the mathematics of what happens to the photons in this case mathematically? The standard explanation is that it’s magic and we are not to think about it. Naturalism is the rejection of such explanations. Supernatural explanations usually ascribe special causal powers to high-level entities such as persons, words, thoughts and so on which cannot be reduced. This is because high-level concepts are usually impossible to define precisely. They are family resemblance words, a la Wittgenstein. We cannot therefore say that a person can do any physical action that cannot be given a reductionist account (e.g. exercise libertarian free will) because there is no mathematical way to distinguish a person from a non-person. Also, if there are hyper computations then there are things that happen that cannot possibly be described by any mathematical model accessible to us. I disagree. Hypercomputations would mean that there are physical phenomena which cannot be simulated by Turing machines. It does not mean that they cannot be described mathematically. Computability is about the possibility of carrying out a computational process, not describing or defining something. Interesting piece called “The Mathematical World” by James Franklin at Aeon Magazine. Mike, what a refreshing change from the usual clinical monotony of naturalistic viewpoints one finds on blogs. As I read it, I felt I’d fallen, after nearly seventy years, into my personal rabbit hole again. In fact, as I read, echoes of Sagan’s and Loren Eiseley’s books, and particularly Allen Wheelis’s and D.E. Harding’s essays in “The Mind’s I” reverberated in my ears. Recently, I read a piece–the subject of which I now have no recollection–by Justin E.H. Smith . But I liked one line enough to write it down, “The turn to metaphor is not a turn away from truth, but a response to the difficulty of its expression.” I was pleased to read the many positive comments on your post and believe these can be attributed as much to your use of metaphor and figurative language to frame your narrative as to your conclusions. Thank you for this contribution. It’s always great when I can feel my pulse rate quicken as I read a post. It doesn’t happen much any more. Hi Thomas, interesting piece by James Franklin. I don’t see that his account works either. The world we see is constrained by mathematical facts – mathematics is more solid than anything physical. The entire physical world could decay into nothingness and an entirely different physical world working on radically different rules could appear, but there still could not even in principle be a right angled triangle defined on a cross-product of reals where the sum of the squares on the sides adjacent to the right angle was not equal to the square of the remaining side. To me, that is a most interesting fact. Mathematics consists, as far as we can tell, of choosing some symbols and manipulating those symbols according to some rules we made up, and yet this preposterous procedure yields up facts that cannot possibly be false. First of all, mathematics can describe things which are not algorithms, for example it can describe continuous entities and processes even though mathematics is, itself, discrete. And mathematics does describe omniscient objects – oracles for example. Of course it cannot predict every output of the oracle, but then again mathematics can represent only a vanishingly tiny proportion of real numbers and yet we still say that mathematics can describe continuous systems. So there is no reason why an omniscient, intelligent, necessarily existing being which is the ultimate source of all contingent entities cannot be described mathematically if a non-omniscient intelligent contingently existing being which is the proximate source of some contingent entities can be described mathematically. I had already ready that article by Franklin and commented elsewhere. Perhaps unsurprisingly, I don’t find his arguments convincing. As you know, I’m for Platonism, so I will concentrating on critiquing his account of Platonism. Firstly, I resent the mystical terms he uses to describe Platonism. This is a stereotype I wish we could do away with. Mathematical objects do not “float somewhere outside our own universe of space and time”. They do not exist in a “mysterious realm of forms”. There is no such realm and there is certainly no floating going on. Mathematical objects exist, but they do not exist in a place, and it is wrong to think of them this way. They are not physical so the concept of floating does not apply. There is nothing mysterious about them. We can all intuitively grasp the sense in which they exist, we do so all the time when we use the verb “to be” about mathematical objects, e.g. “there are infinitely many primes”, “there is no greatest integer”. Platonism seems mysterious and frankly absurd only when painted in this light. These terms may seem to be only poetic figures of speech, but they are a slander on Platonism in my view. We don’t. We infer them. Five-year-olds are not blank slates. They are evolved creatures and are equipped with some basic computing hardware that has an intuitive grasp of the fundamentals of mathematics (e.g. 2 is more than 1). They don’t, however, infer the existence of abstract mathematical objects. Five year olds are not Platonists. Few of them give much thought to the philosophy of mathematics. I don’t see how this is an argument against Platonism. Physical properties map onto abstract properties in a way which preserves the relations between them (isomorphism). But those abstract truths hold whether or not there is a physical manifestation of those truths. So the abstracta exist independently of any isomorphic physical instantiation. The argument proposed for Aristotelian realism seems rather weak. It explains that many mathematical properties are represented in the world, but fails to give much of an account of why there is so much to discover about mathematical properties that have no known physical significance or any of the other motivations for Platonism, e.g. how it is that two mathematicians can independently discover the same truths. Further to the above, using second order logic I can formulate the claim that something undescribable exists. If mathematics can describe the undescribable then it can pretty much describe anything. DMM wrote: They are family resemblance words, a la Wittgenstein. We cannot therefore say that a person can do any physical action that cannot be given a reductionist account (e.g. exercise libertarian free will) because there is no mathematical way to distinguish a person from a non-person. How do you know? Do you know every possible mathematics? Also, there seem to be quite a few people claiming that we don’t have libertarian free will. If libertarian free will is undescribable then they are not saying anything that has meaning. They are saying we have no shrdlu. On the other hand if libertarian free will is definable for the purposes of showing that we don’t have it then we don’t need to define the difference between a person and non person since we can define an agent that has libertarian free will (even if we claim this is impossible). Similarly, you would presumably believe that your claim is meaningful and according to your version of Naturalism this claim can be reduced to mathematics. Your claim uses the concept “physical action that cannot be given a reductionist account” therefore there can be a mathematical account of this concept by your own thesis, or your claim is meaningless. Similarly you have used the concept “person” and “non-person” and again, if this claim is meaningful and everything can be reduced to mathematics then there must be a mathematical account of these concepts. Guys, I just offered the Franklin article as perhaps germane to your side-discussion. I have no dog in that fight, not the least reason being my lack of knowledge on the subject. I did find the commentary fascinating and appreciated Franklin’s sincere interaction with the readers. Whither consciousness, as defined in English by Yank academics..
(Phys.org) —A team of researchers working at Harvard Medical School has found that it is possible to teach rhesus monkeys to perform simple addition…the group describes studies they undertook to teach lab monkeys to add symbols together in order to receive a reward, the results of which have shown that other primates besides humans are capable of performing simple math. And the bacteria in our gut have the capacity for quorum sensing, as well as for communicating danger signals across different species to move away when, for instance, an antibiotic is introduced. How is this not a form, per Michael’s excellent paper, of consciousness – at least differentiating among others. Sure, Thomas. Thanks for that. I didn’t mean to come off as dismissive. The article just annoys me a little for the way it portrays Platonism. Sure, mathematics can describe things which are not algorithms, e.g. a circle. But I would say that any process describable by mathematics is in some sense an algorithm. Your point about oracles is a good one and has led me to reconsider my position. I agree that the mind of God could be a process involving hypercomputation of some kind. The algorithm I’m talking about is therefore a broader concept than usually intended and so the halting problem and self-applicability problems do not apply, and perhaps omniscience is not so easily ruled out. That said, I am not convinced that the usual concept of the mind of God is compatible with a mathematical description, and this is because the mind of God is explained only in terms of high-level concepts. God is perfectly good, but what is good? How can this be defined mathematically? I think you’ll need more than second order logic. To really formulate this claim, you would need to define mathematically what existing and describability means. Using labels or even existential qualifiers is not a complete mathematical description. ∃x: undescribable(x) doesn’t cut it. But you haven’t described it, even in English. You have merely claimed that there is something which is undescribable. To describe it would be to define it, and you can’t define the undefinable. Sure, you can formulate claims that are false. It’s no secret that mathematical notation can express that 1=2. But unless you can prove that 1=2 you’ve got nothing interesting. I don’t have to. I say we can’t mathematically define a person because we can’t even define a person in English. Every philosopher has their own ideas about what personhood entails. Wittgenstein’s idea of family resemblance seems to me obviously correct and implies that there is no clear distinction between persons and non-persons. If no such clear distinction exists, there can be no robust definition, so we can’t have persons having causal powers than non-persons don’t have unless it’s on some sort of continuum. Anything else would be supernatural, and so against naturalism. Precisely. Libertarian free will is false because it is nonsense. It cannot be correct because it is incoherent. As you say, the only possibilities are determinism or randomness or some combination thereof. Libertarian free will is the idea that there is some other alternative. This is characteristic of supernatural belief. Supernaturalism is resistant to reductionism and content to believe in high-level concepts which prove to be incoherent on analysis. So you’re saying I can’t say the label “person” refers to no well-defined entity without my statement being meaningless? I’m simply saying, from a physical, mathematical perspective, that “person” is much like “shrdlu”. It is meaningless nonsense. But naturalists can still talk of persons. Naturalism is the position that there must be physical explanations for physical events which cannot appeal to high level concepts such as persons. It doesn’t mean that we can’t also talk in terms of higher-level non-mathematical concepts like persons for practical and ethical purposes. Thanks for your reply. Here is my problem with the team of mathematicians. Suppose somebody in Sydney writes down “8+2=10” and then a few seconds or minutes later somebody in London, who does not know the person in Sydney or know about the first calculation writes down “10+8=18”. One of the inputs to the second calculation is the output of the first, so are they a single calculation although nobody intended them to be? Are these two calculations networked in the sense you say? Remember these symbols have no particular meaning in nature beyond what the minds that wrote them intended them to mean. There is certainly no connection we can identify. So suppose the first person had faxed this calculation to the second and said “here are my numbers, please add yours”. Now the two calculations are intended to be a single calculation but I don’t see how that makes any difference. Is there something in nature that can distinguish the two cases, to scan the intentions in the minds of each person and to follow the information as it is broken down into bits and sent as electromagnetic impulses and then reassembled and then enters the mind of the second person via reflected light and sense impulses. There is nothing like this that we know of and if there was it would have to be, in itself, intelligent. So the individual workings of the mathematicians are like this – they are so many scribbles on paper which are generally meaningless to nature and there is no natural connection between them other than intelligent person. At any given time only a tiny proportion of this information is actually being processed. And yet I have at least the illusion of simultaneously seeing the whole word “the” even though this would require billions of these individual calculations which cannot have any such connection. I agree that there’s no consciousness or anything resembling consciousness in the new scenarios you present, apart from, obviously, the minds of the mathematicians. There’s no reason to think that two numbers written in two places across the world are connected in any way. If the two calculations are faxed to each other after the fact, then there is still nothing really resembling consciousness going on. But let’s say that, instead, one mathematician writes down a number, then sends it along to the next mathematician, who adds another number to that number. Then he sends it back, and the first mathematician adds another number to the second one. And they keep sending it back and forth, adding numbers. This is beginning to become a network. A very simple network, but a network. Physical information is being traded between different people. It’s not enough that there’s a similarity between the two symbols, there has to a trading of information. You could say that the two mathematicians are analogous to neurons, and the papers they are sending are analogous to electrical impulses. Now let’s say we add a third mathematician. Mathematician A sends a number off to mathematician B. If that number is even, the number gets sent back to mathematician C. If it is odd, it gets sent back to math. A. Now we have a network, and a decision procedure which begins to manipulate the information. A team of mathematicians working together, if they were doing so in a way to simulate a brain, would create some similar network, though it would probably be much less formally structured. But it doesn’t matter that the universe doesn’t understand what a mathematical symbol is. The system understands what the symbols mean. There doesn’t have to be some God which understands what neural language looks like, as long as it works for the neurons themselves. The important thing isn’t that the symbols are understood by nature, the important thing is that the symbols allow the information which is being processed by the system to manipulate the system itself, so that new information will cause a change in the system, which will create new information, and then a change in the system, etc. I’m currently writing an essay on the Chinese Room problem for my blog. It should be posted within the next few days, if you’re still interested by then. I hope you come by to take a look. While the notion that consciousness is a physical process seems odd to us, the notion that it is not one is even odder. Without access to your senses, you would not have anything to be aware of, and without access to your memory, which is surely also physical, you couldn’t recall a single word for making a thought, nor remember anything you had ever done or experienced. Not much to be conscious of, in that case. DM asked above: “If these mathematicians sleep at night, do you cease to exist and a new you is born in the morning? If one day a new team of mathematicians is brought in to replace the existing team, does this mean a change of your identity? “ And I ask back, when you sleep at night, is a new you born in the morning? When your worn out old cells are replaced with new ones, does this mean a change of your identity? To me, consciousness is not a thing that resides somewhere, it is the result of thinking that takes place in your brain. To put it more succinctly, you aren’t really conscious, you just think you are. I am quite certain that at some point in the not too distant future, we will have machines that cross the threshold, where the threshold is judged by our reaction to them. When they start to display a certain level of intelligent behavior, it will become too difficult for us to think of them as mere machines, and we will naturally shift to thinking of them as conscious things, because it will work out better to do so. Then we will have arguments about whether they are really conscious, or just seem to be. How is it a form of consciousness? These things can happen without there being consciousness. And I ask back, when you sleep at night, is a new you born in the morning? When your worn out old cells are replaced with new ones, does this mean a change of your identity? That’s hardly a retort. It’s just another way of making the same point I was making. Stuff isn’t conscious, patterns/algorithms are conscious. If old cells are replaced with new ones in a way which preserves the pattern, nothing important has changed. – Brains and biological processes are no more like computers, as the pop tech for our era, than steam engines back when. – If consciousness isn’t just epiphenomenal, why don’t other living things have it? If they do, how the heck can we know without English academic language? – If intuition is worth anything which ones? The intuitions that the earth is flat, or deamons and witches, ghosts, a god or many, sympathetic magic, – philosophers intuitions – are they all provable and useful descriptions of the world?